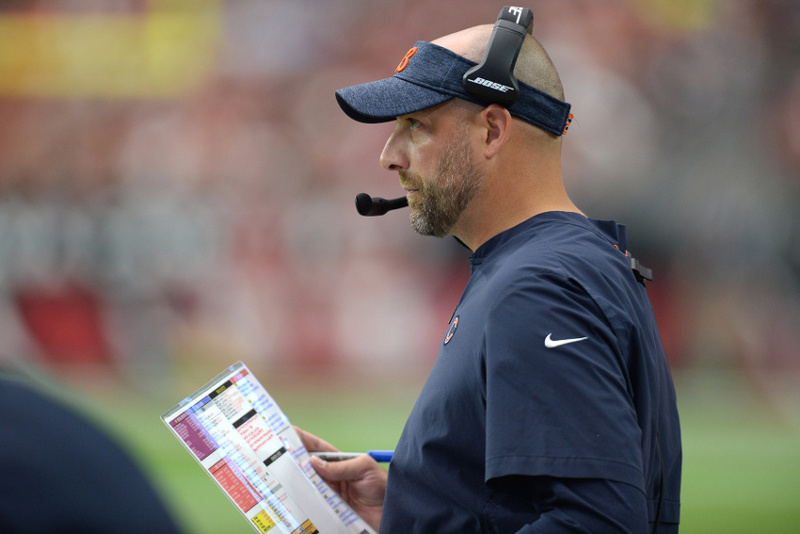 The Sept. 23 photo of "Nagy" that's actually of Helfrich has spread across newspapers and digital sites, with no one seemingly noticing until now. 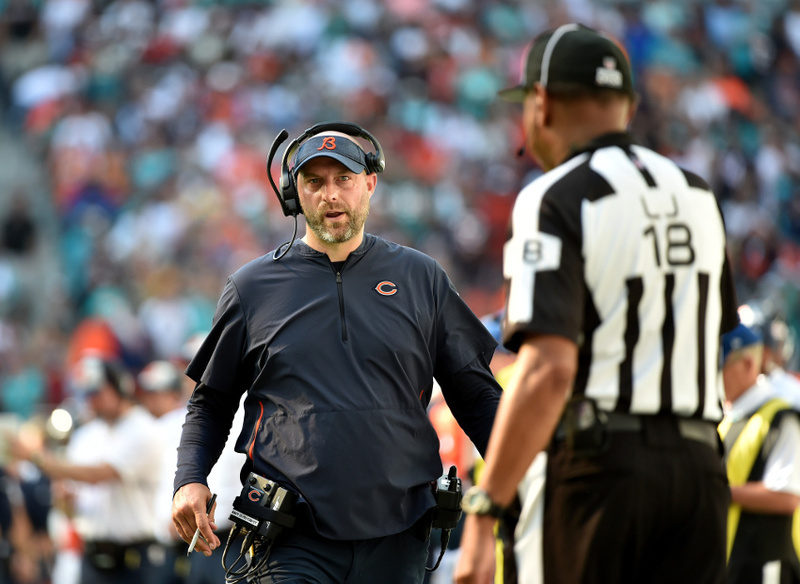 It appears that a lot of the world has trouble telling Chicago Bears’ head coach Matt Nagy apart from Bears’ offensive coordinator Mark Helfrich. Nagy and Helfrich are 40 and 45 respectively, and they’re both balding with dark beards that have plenty of gray. And this seems to have led to at least two mislabeled wire service photos that have popped up in multiple stories. But as the caption notes, that’s an Associated Press photo. And it appears the caption error is with the AP, not with ESPN. 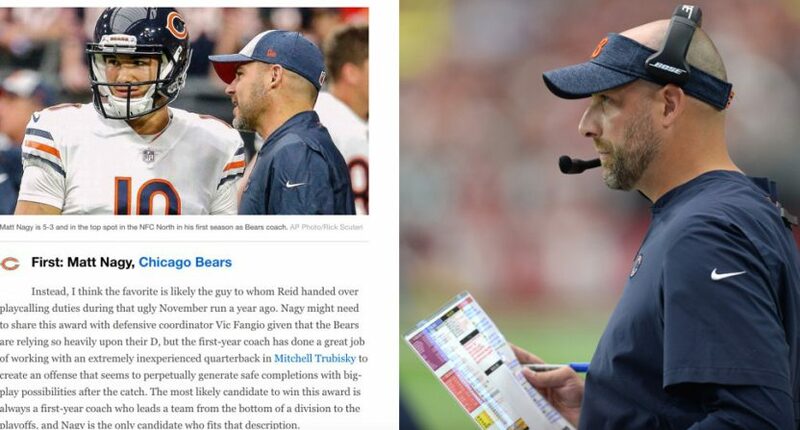 A reverse Google Image search shows that the photo in question is from the Bears’ Sept. 23 game against the Arizona Cardinals, and that it’s been used in countless stories across newspapers, ESPN, and Yahoo, often with a caption like “Chicago Bears quarterback Mitchell Trubisky (10) talks with Bears head coach Matt Nagy, right, prior to an NFL football game against the Arizona Cardinals, Sunday, Sept. 23, 2018, in Glendale, Ariz. (AP Photo/Rick Scuteri)”. So that’s not even close. 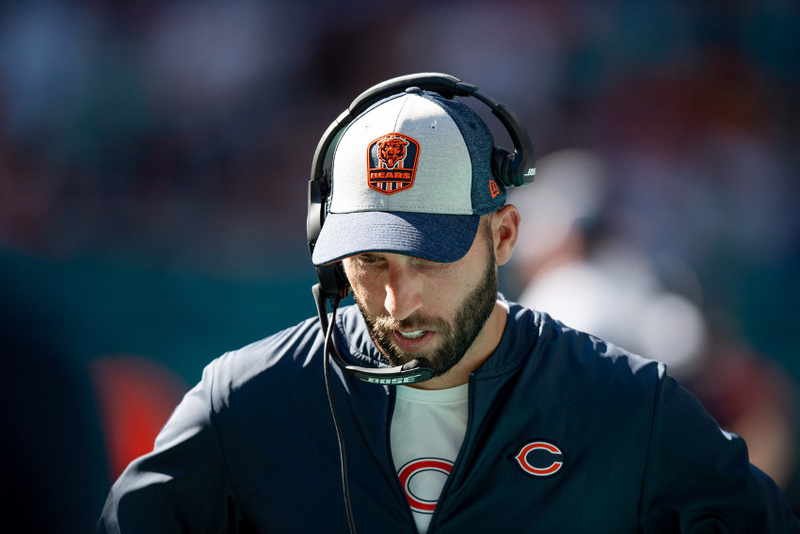 It’s unclear who the subject in that one is, but it might be backup QB Chase Daniel or maybe tight ends coach Kevin M. Gilbride; it’s certainly not Nagy or Helfrich. Anyway, fortunately that one doesn’t seem to have spread too far, unlike the Helfrich-Nagy mixup. But hey, at least this led to Helfrich getting some coach of the year buzz, just under a different name?